I am participating in the 2015 New Release Challenge hosted by Lexxie from Unconventional Book Views and Stormi at Books, Movies, Reviews! Oh My!. Basically the goal is to read books released in 2015. They have to be at least 130 pages and need to be released, read and reviewed in 2015 to count. I set the goal New Release Newbie: 1-15 books per year. I am hoping to read around 15 new releases this year. I am doing quarterly recaps to show my progress. This quarterly recap recaps the books I read in July, August and September. These past three months I read 16 new releases. So in total I read 42 new releases so far this year. I am really surprised at how many new releases I read as I never realized it until this challenge. first quarterly recap – 11 new releases read. Second Quarterly recap – 15 new releases read. Two brand new tales anchor this wide-ranging collection from one of urban fantasy’s most successful authors. Here is the first time that best-selling fantasy, YA, and crime author Kelley Armstrong has had her stories collected from Otherworld and beyond. With her signature twists and turns, Armstrong gives a fresh spin on city-dwelling vampires, werewolves, and zombies, while also traveling further afield, to a post-apocalyptic fortress, a superstitious village, a supernatural brothel, and even to feudal Japan. With tales that range from humorous to heart-stopping, these are the stories that showcase Kelley Armstrong at her versatile best. The Kincaid brothers are as rough and rugged as the Rocky Mountains they call home. Aidan has always done things his own way, by his own rules. And never has he regretted anything more than letting Lily walk out of his life ten years ago. If anyone has ever been in need of rescuing, she has. What she needs more than anything are long hikes, slow dances, and sizzling kisses. 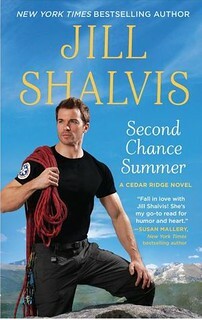 But that can only happen if he can get her to give Cedar Ridge-and this bad boy-a second chance . . .
Freya Holm is smart, quick-witted, and an Alva—a paranormal species with the ability to fly. In a bid for a normal life outside of family expectations, she moved across the country. But within a few days of arriving in a small California town, she finds herself fighting over the last bag of lentils with an attractive but ill-tempered werewolf named David. David Waterstone is desperate for normal, too. Recently banished from his pack, he finds himself struggling to stay sane. The presence of another supernatural power in his new town, especially one as inquisitive and lively as Freya, makes his struggle even harder. 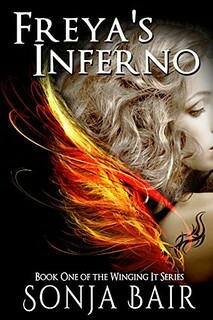 When their new city gets besieged by an insane supernatural with a passion for Dante’s Inferno, Freya’s family sends in one of her old schoolmates. Alrik Isaksson has long been in love with Freya, but she can’t see beyond their hurtful history. Despite the tension, David, Alrik, and Freya must work together and use their intellect, supernatural powers, and sense of humor to survive the layers of Hell being created in their town by a maniac with a passion for literature. 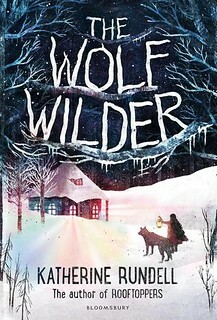 Feodora and her mother live in the snowbound woods of Russia, in a house full of food and fireplaces. Ten minutes away, in a ruined chapel, lives a pack of wolves. Feodora’s mother is a wolf wilder, and Feo is a wolf wilder in training. A wolf wilder is the opposite of an animal tamer: it is a person who teaches tamed animals to fend for themselves, and to fight and to run, and to be wary of humans. When the murderous hostility of the Russian Army threatens her very existence, Feo is left with no option but to go on the run. What follows is a story of revolution and adventure, about standing up for the things you love and fighting back. And, of course, wolves. Tokyo and the Summer Olympics — check. Helping her best friend prepare for the marathon — check. Forgetting she’s in love with Masa — double check. But when Isa’s mother is hospitalized, she has to abandon her summer plans to run the family’s Tokyo business. Masa’s offer to help makes it impossible for Isa to ignore him — and the firecracker kiss they shared half a world away. Everyone expects the world of her, but the pressure to please them all is as oppressive as the Tokyo summer heat. The simplest answer to all her problems? Run. 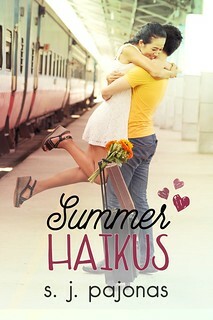 You can read my review of Summer Haikus here. Quinn Bravo is a committed single dad; emphasis on single. The millionaire bachelor is focused on his four-year-old daughter and his fitness business. So while he’s intrigued by his beautiful new interior decorator, Quinn resolves to keep the chemistry at a simmer. Until one night together causes their attraction to burst into flame. You can read my review of The Good Girls’Second Chance here. All Tara ever wanted was to be a mermaid. So she takes a year off between high school and college to don a fake tail and tour aquariums across the country in a professional mermaid troupe. Everything’s great until she meets a gorgeous real-life merman named Finn. 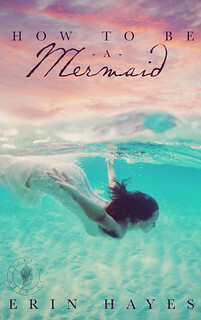 Suddenly, what she thought was a dream turns out to be a nightmare — she’s turning into a mermaid herself. For real. Yet when she returns to the sea to seek out Finn and reverse her transformation, she finds herself in the middle of an impending war between the land and sea. Tara may have always wanted to be a mermaid, but now it’s sink or swim. In order to survive, she has to learn how to be one, too. Summer 2015, award-winning, and best-selling authors will bring you romantic tales of mermaids, sirens, sprites, and other creatures of the deep! Keep in touch as we reveal each title in our collection! You can read my review of How to be a Mermaid here. 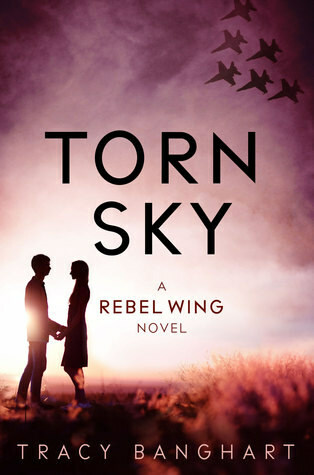 You can read my review of Torn Sky here. 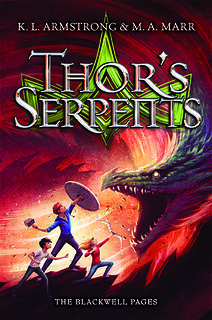 You can read my review of Thor’s Serpents here. Elijah Brighton is the face of the Human Resistance Movement. He’s the Olympic-level painter who refused an offer of immortality from the ascenders—the human/machine hybrids who run the world—in solidarity with the legacy humans who will never get a chance to live forever. Too bad it’s all a complicated web of lies. Worse, Eli’s not even entirely human. Few know about the ascenders’ genetic experiments that left him… different. Fewer know about the unearthly fugue state that creates his transcendent art—as well as a bridge that lets him speak to the dead. But the Resistance is the one place he can hide from the ascender who knows everything the fugue can do. Because if Marcus finds him, he’ll either use Eli for his own nefarious purposes… or destroy him once and for all. 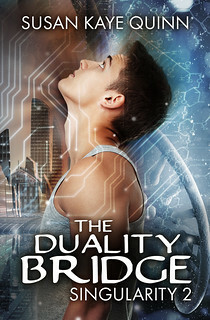 The Duality Bridge is the second book in the Singularity series and the sequel to The Legacy Human. This thrilling new young adult science fiction series explores the intersection of mind, body, and soul in a post-Singularity world. You can read my review of The Duality Bridge here. 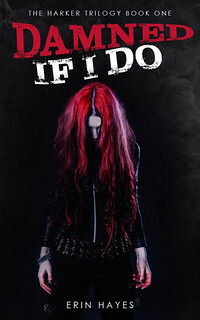 You can read my review of Damned if I Do here. 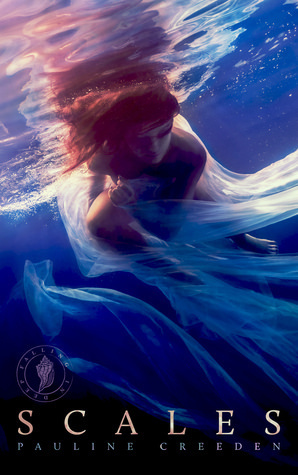 You can read my review of Immersed here. A fatal accident at the circus sparks an insurance investigation that leads John Nieves, a former New York cop, to a list of murder suspects. It seems that The Great Rollo, beloved of millions, had enemies… both at the circus and among his own family. All that is surreal and magical about the circus brings out Nieves’ deepest fears, blinding him to the very real danger that is closer at hand. A bizarre series of revelations and coincidences keep Nieves’ suspicions of the circus people high, even after the actual evidence suggests that the incident really was only an unfortunate accident. The furtive actions of Rollo’s wife and brother, the beneficiaries of his insurance, lead Nieves into even dirtier family secrets. Apparent attempts on his life from all quarters threaten Nieves, but he refuses to drop the case until the whole truth of who killed The Great Rollo is revealed. 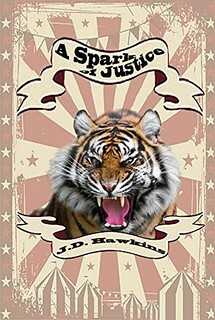 You can read my review of A Spark of Justice here. You can read my review of Dream on Amber here. The scales will measure her worth to her clan. Will she endure thirty days as a land-walker to gather information and knowledge to appease her clan and return a valued member? Will she wait three years, until she is twenty, and find a mer of her kind to accept her and marry her? Or will she suffer exile for the rest of her life? You can read my review of Scales here. 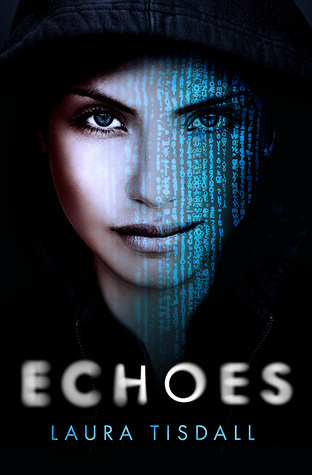 You can read my review of Echoes here. I underestimated how many new releases I read each year, I definitely did well with this challenge. I like reading a lot of different genres and am tryign to read some newer to me genres this year as well. You certainly have been busy reading this year. The best book I read that came out this yer was Dead Ice by Laurell K Hamilton. I didn’t expect to read so many new releases in a year, well at least I know to set my goal higher next year, lol. I only read one book by Hamilton so far, but I don’t think I liked that one very much, so I never continued the series. You’ve read some really good books. I loved Second Chance Summer. It’s definitely on my 2015 favorites list. Second Chance Summer was a good one. I am definitely planning on reading more books by that author! You had some great new releases. 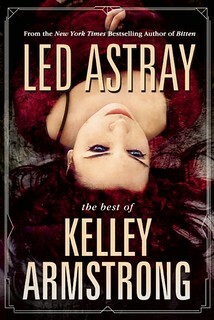 I still need to read Led Astray. I really enjoyed Thor’s Serpents. Damed If I Do looks really good. I Think this year my favorite new release author will be technically a re-release author that I wasn’t familiar with until I read her re-release. I’ve five starred all three Rosanne Bittner western historicals that I’ve read. I never realized how many new releases I read, it really gave me a new insight in my own reading habbits. That shows how handy those re-releases can be and how they can reach new readers. It’s great when you find a series like that where you love all the books in a series. Oooh, another challenge I need to look into joining in 2016! I’m terrible at reading new releases. It takes me months sometimes hehe! Sarah @ One Curvy Blogger recently posted…My Goals for Blog Ahead 2015! I always thought I didn’t read that many new releases, but this challenge gave me insight in how many I read. I think about half of the books I read this year was a new release. 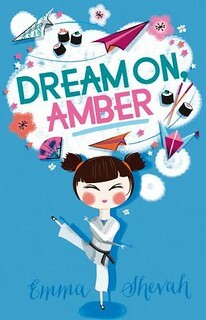 Dream on Amber looks so cute, that cover is just totally adorable. Will definitely check it out! I agree the cover is really cute and that’s what got my attention in the first place, the story didn’t fully work for me, but maybe that’s because this was my first contemporary MG book.